Copiers are becoming more and more powerful machines with their added features and functionalities. But you may feel you can’t afford the newest models even if your business urgently needs it to be more competitive. With Clear Choice Technical Services, a small budget is not a problem. We don’t require large upfront payment. 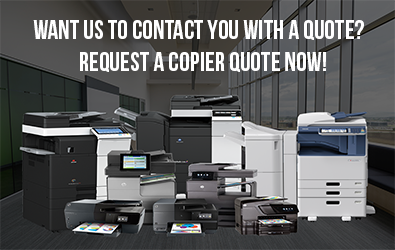 When you lease a copier from us, you can even select the payment option that’s most practical and convenient for your business. Clear Choice Technical Services has more than 20 years of experience in equipment repair and maintenance. We have serviced numerous offices, businesses, and schools with unrivalled efficiency and dedication. Today, we have more than 60 service locations in the US with more than 6,000 expert technicians composing our powerful fleet. Today, we continue to work with the same spirit and dedication to our cherished clients. We continue to do on-site repair anywhere and anytime. All of our expert services still come with full warranty. Our work also remains affordable to everybody. From services to document management systems and solutions, we have made everything affordable. We strongly believe that quality should be within people’s reach. Through good relations with original equipment manufacturers, we are able to offer our clients with the best products at amazingly affordable prices. It gives everyone a fair opportunity to thrive and succeed. Printing speeds. 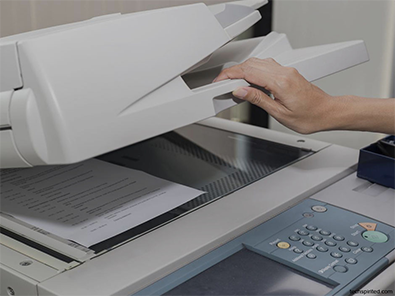 Today’s digital copiers can print 20 up to 100 pages per minute (ppm). Warm-up requirements have also been successfully reduced with first copy out within 3 to 7 seconds. Determine your regular workload so you can decide on the right printing speed. Paper capacity. A low-end copier usually has a tray capacity of 100 sheets only. High-end copiers can hold up to 500 sheets in their tray and more than 2,000 in their multi-level cassettes. Graphic capabilities. This particular functionality is important for advertising businesses which require exact reproduction of images and texts. Added functionalities. Scan, fax, and print are now standard features among copy machines. However, there are models which have more advanced capabilities and functions such as touch-screen controls, networking, wireless connectivity, image editing, and document-finishing. Technology can empower people and businesses. But not everyone possesses technical skills and ingenuity. Hence, we provide full technical support to everyone who needs it. Through an affordable service agreement, we provide our clients with the best maintenance service that ensures smooth business and office operations. We take away all of their tech concerns so they can fully focus on managing their business affairs. You can contact our company about our affordable service contracts which already include labor, machine parts, and consumables. You can also consult our company’s specialists for other services that can help your business attain a more powerful leverage through the latest tech advancements. Call Clear Choice Technical Services at (321) 504-5117 and see our flexible leasing options! You can also request for a free demo trial to assess the unique benefits of our offers!